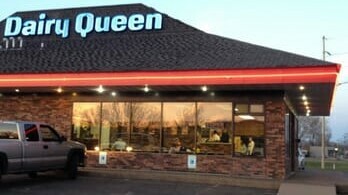 Whether at Carson Park or apartment hunting at Cornerstone, Inc., there is ONE must stop restaurant and it is the 1160 Menomonie St., Eau Claire, WI Dairy Queen. I learned about this, "Only One Of It's Kind", Dairy Queen from a couple of fellow Klein Hall veterans performing community volunteer service at last years "Color Run." Please, Please frequent this DQ location. Tell the wonderful DQ staff, "Chippewa Ralph sent me." I had to post this twice as I have a disability. Five star rating! Whether at Carson Park or apartment hunting at Cornerstone, Inc., there is ONE must stop restaurant and it is the 1160 Menomonie St., Eau Claire, WI Dairy Queen. I learned about this, "Only One Of It's Kind", Dairy Queen from a couple of fellow Klein Hall veterans performing community volunteer service at last years "Color Run." Please, Please frequent this DQ location. Tell the wonderful DQ staff, "Chippewa Ralph sent me." Best Dairy Queen EVER. This is different than the rest - they make all of their treats on site and the portion size is gigantic! Really nice people too.